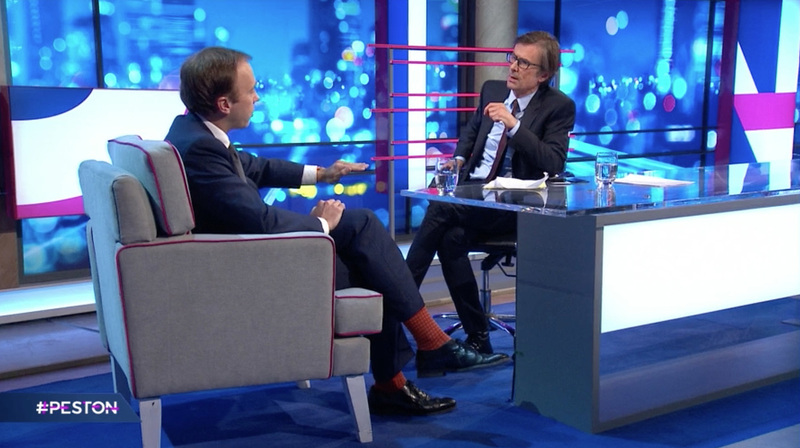 ITV’s political affairs news magazine “Peston on Sunday” underwent a transformation this week, relocating to Wednesday night and undergoing a rebrand to update the program for its new late-night timeslot. 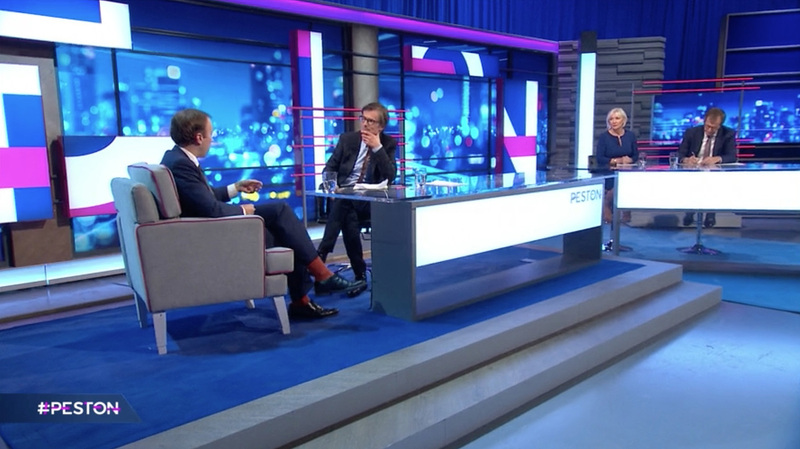 Hosted by ITV’s politics editor and namesake Robert Peston, the new “Peston” continues to be a politics-focused program while now incorporating influences from late night talk shows. 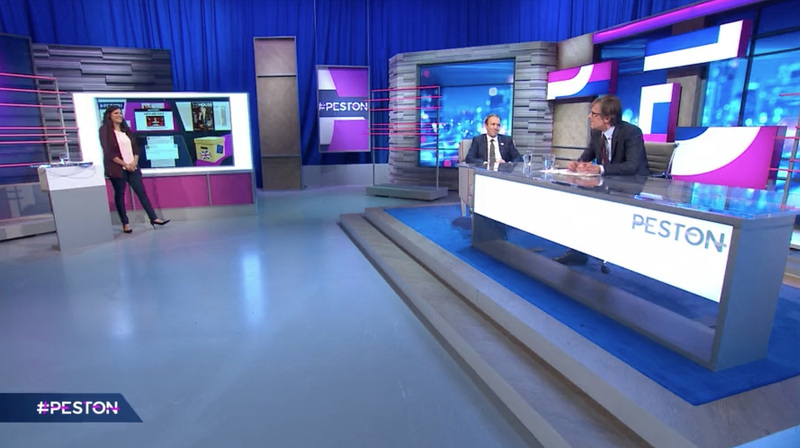 From the show’s new jazzy theme music to the pops of pink and blue hues on set, “Peston” aims to showcase key interviews and conversation with data and analysis with an informality and wittiness on air. The revamp comes as the United Kingdom braces for major political shifts, with Brexit negotiations looming. The previous set design focused on creating a sense of place, something the production team wanted to avoid with the reformat and move to Television Centre. Simon Jago, the set designer, notes the new design is meant to look like a television set and not a real location, using a variety of scenic pieces and elements. The look focuses on creating a deliberately abstracted “view” with layers of texture to provide depth, referencing the show’s detailed discussions, while a bright blue curtain wraps the space. Texture is provided on set by grey stacked-stone paneling, which is broken up by pink highlights and additional backlit panels that contrast with the predominantly blue background. Jago adds the overall look is meant to be a bit quirky, reflecting Peston’s personality. The show’s new graphics also appear throughout the scenic design in strategically placed panels along with a bokeh-filled cityscape background. The studio also includes a touchscreen from Kenziko which is used by co-presenter Anushka Asthana to breakdown polling and social media feedback. Malcolm Roberts lit the studio with fabrication by Estdale Scenex.